Erected by WALTER McLAREN and AGNES MEIKLEJOHN in memory of their daughter MARY ANDERSON who died 8th August 1868 aged 18 years & 9 months. Also their sons WALTER supposed to have drowned in the Indian ocean March 1876 aged 28 years. 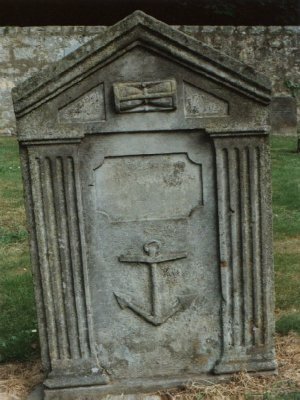 JOHN died at sea 24th August 1878 aged 36 years. AGNES MEIKLEJOHN died 24th January 1891 aged 71 years. WALTER McLAREN died 14th January 1905 aged 89 years. Who so trustest in the Lord, happy is he. Proverbs XVI, 20.